Dope mixtape by swiss I.T.F. champion Dj N.D. , classics with the odd underground joint thrown in, mixed to perfection. 02. Anotha Level – What’s That Cha Say? 11. Common Sense – I Used To Love H.E.R. 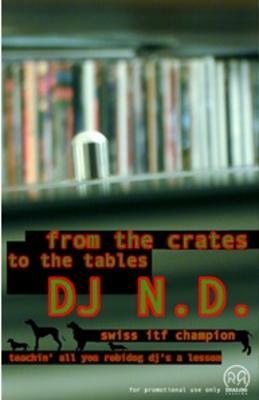 comment "DJ N.D. – From The Crates To The Tables (Cassette) (2000) (FLAC + 320 kbps)"